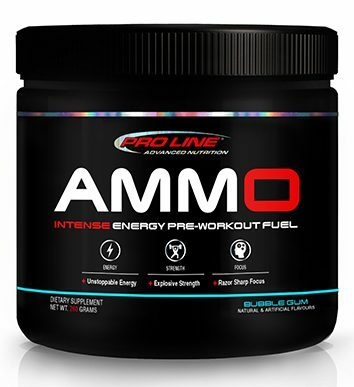 AMMO™ is an extreme concentrated pre-workout enhancer that effectively improves athletic performance, mental focus and energy. 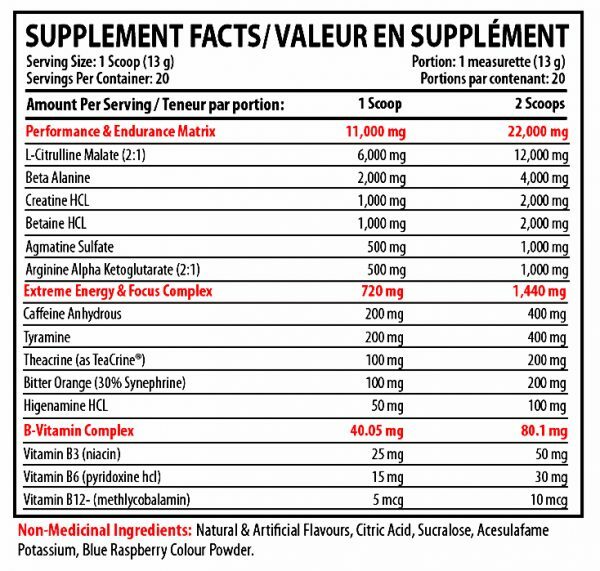 This unique combination of nutritional agents for physical endurance, and fast recovery, comes with the addition of compounds that energize the brain and improve the mood. This encourages you to get into your workout, and to enjoy the process, no matter how fatigued you were before starting. 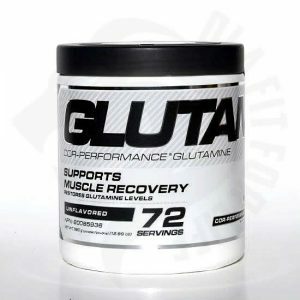 PERFORMANCE AND ENDURANCE MATRIX L-Citrulline Malate is a non-essential amino acid that serves as a precursor to arginine production in the body, and works to support the immune system. 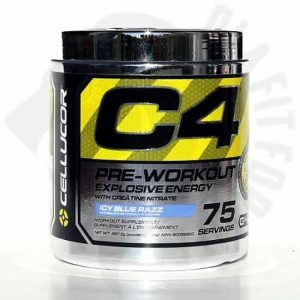 L-Citrulline also helps to remove ammonia from the body, a toxic byproduct of protein metabolism. Beta Alanine supports oxygen delivery and aerobic efficiency, providing extra energy for exercise, and it is a building block for Carnosine, which increases nitric oxide levels. 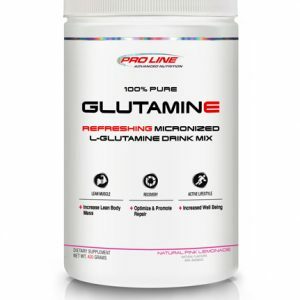 As well, beta alanine reduces lactic acid build-up, aiding in post-workout recovery. Creatine HCL is the most water-soluble of all the forms of creatine, dissolving completely in water, which means that it assimilates completely in the body, minimizing any loss of creatine. This water- soluble form of creatine requires no loading phase, and so works very efficiently, and quickly. 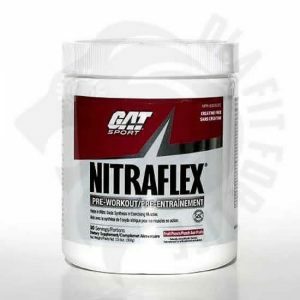 Agmatine Sulfate, like L-arginine, increases nitric oxide levels, but does so a hundred times more effectively than arginine does. Nitric oxide causes vasodilation resulting in increased blood flow, which in turn improves nutrient delivery throughout the body. Thus, agmatine leads to improved endurance and performance, as well as faster recovery. As a bonus, agmatine supports mental functions, supporting short and long term memory, improving attention span, and increasing neurotransmitter production. 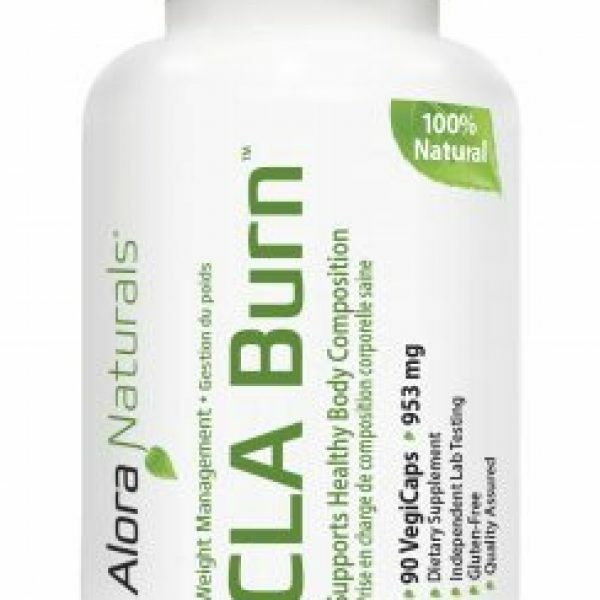 Arginine Alpha Ketoglutarate is a superior form of L-arginine, performing all of the functions of arginine, including increasing nitric oxide production, but absorbing faster and more efficiently than conventional arginine. This means that your muscles receive nutrients and oxygen faster, improving workouts and recovery time, and encouraging lean muscle growth. VITAMIN B COMPLEX Vitamin B-3 (niacin) is required for neurotransmitter production, and works to improve circulation, but it is also important for the production of L-histidine. L-histidine works with Beta Alanine to synthesize Carnosine in the body, and Carnosine increases nitric oxide levels in the blood. As well, Carnosine has been proven to prevent muscular injuries and to reduce recovery times in sports. Vitamin B6 is necessary for cardiovascular, digestive, immune, muscular, and nervous system functions. It is also required for proper brain function, and to make the neurotransmitters necessary for a positive mood. Since athletes burn more calories, and sweat out more fluids, than the average person, they can easily lose the water-soluble B-vitamins. And, since athletes are prone to depression, due to the high stress of competition, it is essential that they have sufficient vitamin B6, in part to ensure a healthy, positive mood. Vitamin B12 (methylcobalamin) helps to build red-blood cells, aiding in providing energy to the body. As well as many other cellular functions, B-12 is required for digestion, nutrient absorption, and for the body to metabolize carbohydrates and fats. 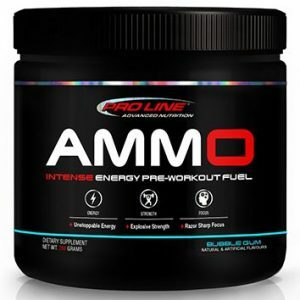 AMMO uses the superior methylcobalamin form of B-12, shown to be of special value in protecting the neurological system of the brain, as well as preventing nerve damage in the body. EXTREME ENERGY AND FOCUS COMPLEX Caffeine is the energizing compound found naturally occurring in coffee and tea, but isolated Caffeine Anhydrous is the form of caffeine shown to be much more effective for improving mental and athletic functions. As a central nervous system stimulant, caffeine has many beneficial effects, including increased alertness, decreased fatigue, and improved athletic performance during both long-term endurance trials, and short-burst, intense events. Tyramine is an amino acid with multiple sports applications. 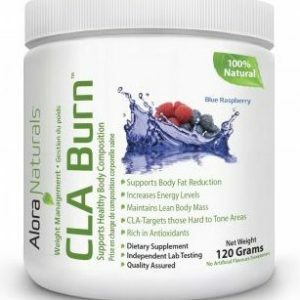 It aids in fat loss by increasing adrenaline secretion, increasing physical energy and fat burning, and by reducing insulin spikes, which prevents the storage of carbs as fat in the body. Theacrine (TeaCrine®) works with the body to naturally increase energy, mental clarity, and motivation. It is similar to caffeine, but lasts longer, and provides more benefits than just being a stimulant. Exercise causes oxidative damage to the body, but, because Theacrine works as an antioxidant, it prevents muscle breakdown, and reduces post-exercise pain. This allows for a harder workout, and a faster recovery. Bitter Orange (30% synephrine) is high in synephrine hydrochloride, an effective alternative to stimulants, which can leave people feeling jittery, or wired. Synephrine has the ability to increase both energy and metabolic rate, without increasing heart rate or blood pressure, which has led to its popularity as a weight-loss aid, and energy booster. Higenamine HCL is an extremely valuable addition to a pre-workout supplement due to its ability to increase energy, improve focus, and enhance mental clarity. But, unlike most stimulants, higenamine does not constrict blood flow, so it will not impede those substances in the formula designed to increase nitric oxide levels. Picamilon is a natural compound that encourages blood flow to the brain, and reduces mental fatigue. It promotes analytical, cognitive, and performance functions, such as hand-to-eye coordination and improved reaction times. Octopamine HCL, releases norepinephrine, an excitory hormone that increase metabolism, and so can be helpful for maintaining a healthy weight. Optimal levels of norepinephrine contribute to curbing the appetite, as well as causing thermogenics (fat burning), and, this energizing hormone also increases alertness and focus.